We understand that being a small business owner is tough. That’s why we plan to spotlight a different business each month to help you learn about unique businesses in your own back yard. In a world where time and money are at a premium, the YMCA in Lancaster is making it easy and affordable for people of all ages to achieve their physical fitness goals. The Robert K. Fox Family YMCA helps strengthen the community by teaching youth development, healthy living and social responsibility. By offering a wide variety of youth programs – from gymnastics to swimming – the YMCA works with children to help them reach their full potential. By teaching more than the fundamentals of a sport, the YMCA teaches kids fair play, allows everyone to participate and helps kids develop social interaction skills they will use for a lifetime. Best of all, the YMCA scholarship program allows everyone to participate, regardless of their ability to pay. Last year, a Gallup poll revealed that 27.7 percent of Americans are now obese, the highest obesity rate in American history. The YMCA works to combat this epidemic by teaching overall healthy living in their wellness center. They encourage members, not just to exercise, but to also eat healthy and sleep consistently to keep their minds and bodies in shape. A balance of these three areas will help create a healthy lifestyle needed to live a long and happy life. With 15,000 square feet of wellness center equipment and more than one hundred fitness programs that members and community members can participate in to gain needed strength, there are abundant opportunities for people of all ages to find the activity that works for them. 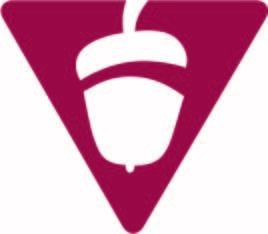 The YMCA also teaches social responsibility and strives to pay back the community for all the community does for the YMCA. For example, they have a Live Strong program for cancer survivors. This life changing addition to their schedule involves a free program of exercise and social interaction for people recovering from cancer. There is even a child care program for families with kids. Child care for kids in school is offered along with a summer program for children who need a place to learn and grow especially for families who are working. They even have a preschool program for young children to start them on the road to a “healthy” education in Lancaster. Their 36,000 square foot RecPlex facility provides ample space for tennis, volleyball, baseball, boxing and gymnastics. Purchased in 2008 and renovated in 2009, the RecPlex has allowed the Y to act on the vision of expanding services to the community, expanding the nationally recognized gymnastic program, and offering children a place to call their own. By investing in local kids, neighbors and the health of all, the YMCA ensures that everyone, regardless of age, income or background, has the opportunity to thrive. The Robert K Fox Family YMCA is located at 465 W. Sixth Ave. on the west side of Lancaster. The RecPlex is located at 1180 Locust St., on the east side of Lancaster. To learn more about the Robert K Fox Family Y, go to the website, http://www.ymcalancaster.org or call 740-654-0616. Did you save enough in 2014? Do you have enough money tucked away for retirement? How about for a small emergency? 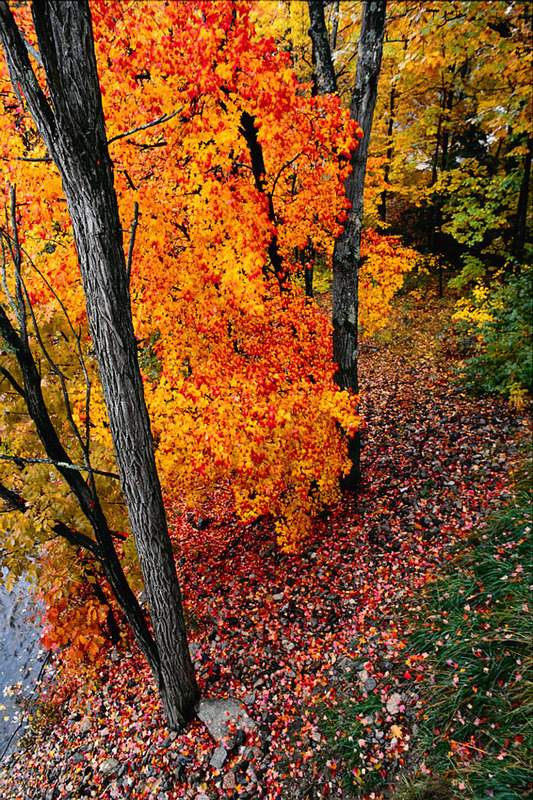 What if the furnace blows next month or your car needs repairs? Do you have enough in savings to get by? If you’re like most Americans, the answer is a resounding no. Most financial experts recommend that you pay yourself first. That means before you pay rent, buy groceries or go to the movies, you set aside a portion of your income. We recommend that you create a monthly budget to see where your money is going. In doing so, set a savings goal for each paycheck. If you think there isn’t room for savings, take a closer look at frivolous expenses or impulse buys that could be draining your checking account (Click here to read about 35 ways to save some dollars). Once you know how much you want to save, you just need to decide where to tuck the money away to keep it safe. If you are just starting out, the best approach is to open a savings account. At VCNB we offer a personal savings account that requires an opening balance of $100 for adults with no minimum for minors. Interest is paid on this account if it has a balance of $100 or more. Once you have a savings account, you can deposit funds at the bank, with direct deposit and with Online Banking. You can even set up automatic transfers to ensure the funds actually make it to savings. Once it’s there, try not to touch the money unless there is a true emergency. If you have a high deductible insurance plan, another great savings option is the Health Savings Account (HSA). While some banks charge large fees for an HSA, VCNB offers this account for free if you accept a monthly e-statement rather than a paper statement. If you wish to receive a paper statement, the account fee is $3 per month. There is a one-time $25 set up fee for this account that is waved if you have this coupon. Basically, an HSA is a tax favored way to save money for qualified medical expenses. If you don’t use the money you deposited into your HSA this year, the funds will roll over to the next year. For many young people with lower medical expenses, this is a great way to begin saving for later in life when medical expenses typically become more burdensome. Once you reach the age of 65, your HSA savings can be used for any type of expense. Check out this link to learn more about an HSA at VCNB. If you already have a nest egg but would like to earn more interest for your savings, a good investment is an Individual Retirement Account (IRA) or Certificate of Deposit (CD) with VCNB. With a CD, you can select the length of time you would like to invest and then watch your money grow. An IRA allows you to save more for your future because you can contribute to your retirement over time while earning interest. We offer Traditional, ROTH, SEP and Educational IRA’s, allowing you to choose what’s best for your long term goals. 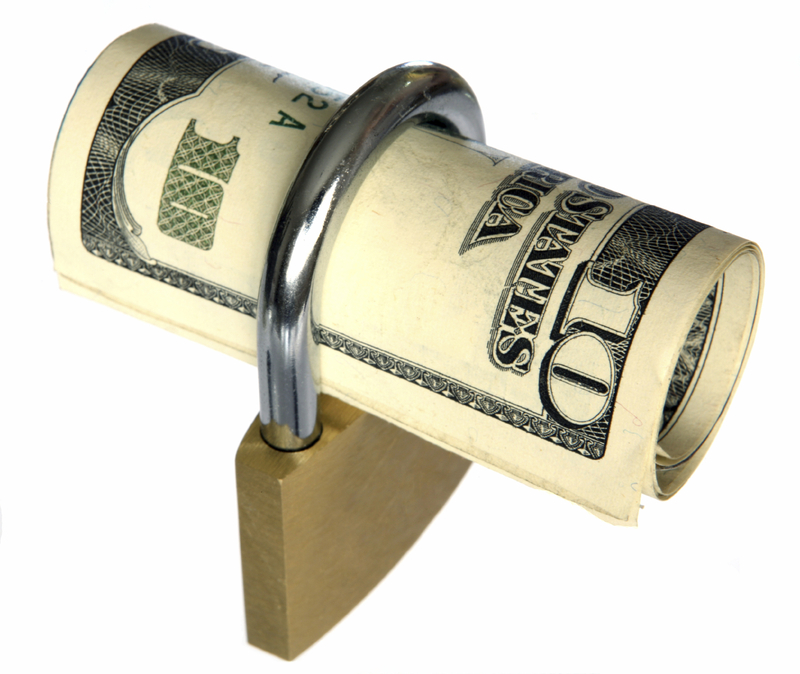 There is no greater security than financial security. For most people that doesn’t come overnight. Instead it comes dollar by dollar. Take a moment now to consider what you want your finances to look like a year from now, five years from now and twenty years from now. Then devise a plan and start saving today! The holidays are finally here and VCNB offices will be closed some so our employees may celebrate with their families. All of our offices will close at noon on Christmas Eve except for our Young’s Family Market location which will be open from 11 a.m. to 3 p.m.
All of our locations will be closed on Christmas Day and New Year’s Day. However, our website and mobile banking app are available 24/7. We appreciate our customers and wish you and yours the happiest of holidays. Have High Deductible Insurance? Our HSA Can Help! 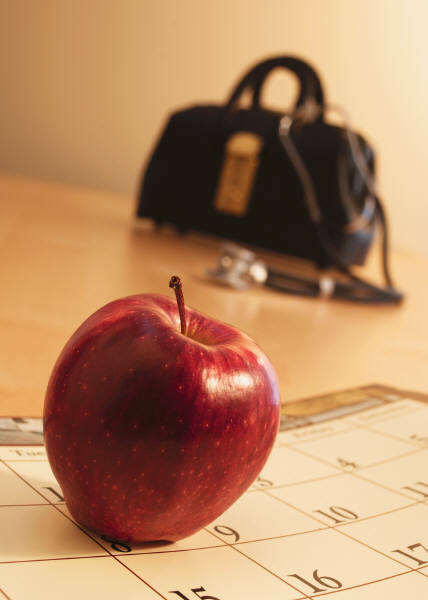 Are you familiar with the Health Savings Account or HSA? Many Americans could benefit from this type of savings account but are unaware that the option exists. An HSA is a tax favored savings account used to pay for medical expenses. This account was created specifically to help individuals and families who have high deductible health insurance plans be able to save money for qualified medical expenses. VCNB offers an HSA that is both affordable and easy to use, according to VCNB Senior Vice President Jane Nickels. Nickels said that to be eligible for an HSA in 2015, you must have an annual deductible of $1,300 for an individual and $2,600 for a family and must not be on Medicare. She said that contributions, up to a limit, are tax deductible and withdrawals to pay qualified medical expenses are never taxed. The money you deposit into your HSA rolls over from year to year and continues to grow tax deferred. The funds in your HSA can be used for qualified medical expenses for any family member who you claim on your taxes. 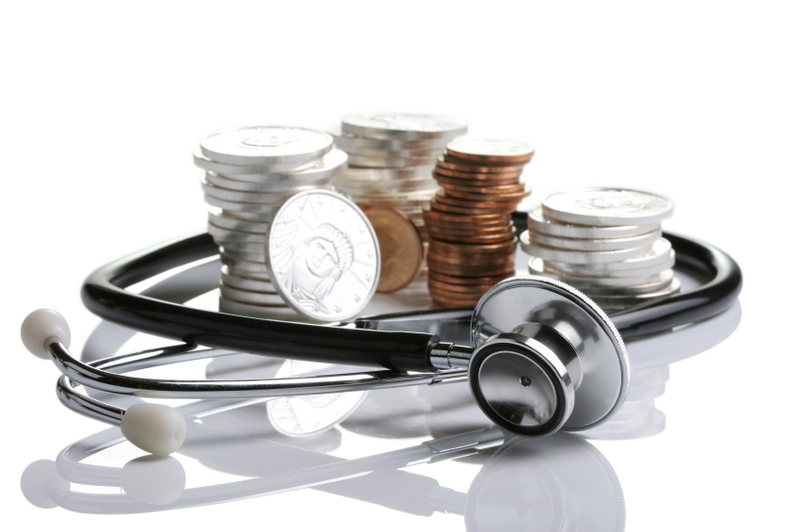 Qualified medical expenses are defined by the Internal Revenue Tax Code. You can read the list of qualified medical, dental and vision expenses here. Remember that any funds you withdraw for non-qualified medical expenses will be taxed at your income tax rate plus 20 percent tax penalty unless the funds are withdrawn for death, disability or after age 65. Nickels explained some of the reasons customers like the HSA. “There are many, many reasons people like their HSA but they are becoming increasingly popular because of the rise in health care costs and changes in their insurance plans,” Nickels said. She indicated that many younger people use their HSA to save for old age. “Because the money will roll over every year, a lot of young people see it as a tax free way to save for retirement. If you are healthy and don’t have many medical expenses, the savings can continue to accumulate until the time you need the money whether it be for medical expenses or for something else after you reach 65. At VCNB, our Health Savings Accounts include a debit card, one box of free checks, a monthly statement, online access and interest checking with tiered rates. If you request a monthly paper statement, there is a $3 monthly fee. There is no fee if you accept electronic statements. If you think an HSA would make your life better, contact your local branch or call 1-800-542-5004 to learn more or to get started. Click here to visit our Online Learning Center to view a video about our HSA. With the holiday season upon us, the threat of fraud increases every day. We know you are busy but it is important to stay on top of things even while you are celebrating and searching for the perfect gifts. One problem we face today is that fraud comes from so many different sources and comes in many forms. Whether it is online, over the phone or in-person, you can take steps to reduce your risk. When shopping in a store, carry only the cards you intend to use, never leave your purse or wallet unattended and know where your card is at all times, even when the cashier has it. Also, be sure that others are not capturing your PIN number when performing PIN transactions. When paper checks are converted to an Automated Clearing House or ACH at a merchant, store voided checks safely to prevent counterfeit checks or unauthorized ACH transactions. When using an ATM, inspect the area around the card reader area for any tampering, tape, glue or other evidence of a card skimmer. A skimmer is an electronic device that is installed over the normal card reading slot of an ATM to record data from the magnetic strip on the back of your card. This device is often accompanied by a hidden camera that records your PIN. Pay attention to what the card reader and keypad normally look like on the ATMS you frequent and don’t use an ATM if the card reader fits poorly, is loose or appears to be added on. In the cyber world, it is important to protect your personal information and your computer. That means keeping updated anti-virus software on your computer and being smart about how and where you share your information. Shop online with trusted merchants and look for the https: to indicate that the page is encrypted. Use strong passwords that consist of a combination of upper and lower case letters, numbers and special characters for all online accounts. Did you know that “123456” and “password” are the two most common passwords in the world? Avoid these as well as passwords that contain personal information that is easy to find in your social media profile. While it may be inconvenient, change your passwords regularly as well. Also be suspicious of emails or Facebook messages from people you don’t know. Don’t open the email or click on any links within the message. If you are like most Americans you keep a lot of personal data stored on your smart phone or tablet. Prevent that information from falling into the wrong hands by locking your mobile devices with a password. Some devices also come with apps that allow you to track and even erase data from missing devices. And while it may be low tech, do not underestimate the power of the telephone for criminals. People posing as debt collectors, those making charity requests or even government representatives can be very convincing over the phone. If someone calls, attempt to confirm that they are legitimate by requesting their name, address, phone number and other relevant information. If they claim to represent a well-known organization like the IRS or VCNB, hang up and call the organization’s published phone number. If you suspect fraud is involved, contact local law enforcement. Criminals will commonly ask for personal information to help you claim a prize. Remember if something sounds too good to be true, it probably is. Also remember that VCNB will never request personal information over the phone or online. Never give out account information, your PIN, Social Security number or other important data. Finally, be sure to regularly keep track of receipts and transactions. Keep and read receipts to ensure they reflect the correct transaction amount. And review your accounts in some way regularly. At VCNB, you can set up Account Alerts so that you receive a text message or email each time a transaction posts. You can also call our Telebanc line at 1-800-317-5990, check balances online at www.vintoncountybank.com or call Customer Service at 1-800-542-5004. Monitoring your credit report regularly is another effective way to identify problems. If you think your VCNB account has been compromised, contact your local branch or Customer Service immediately. If you call outside of business hours, there is an option in the phone menu to report a lost or stolen card. Choose this option to protect your card and yourself from damages and then contact Customer Service during business hours. Have you been good all year? As children young and old alike can tell you, Santa knows! And he’s keeping a list of all the naughty and nice boys and girls across the world. 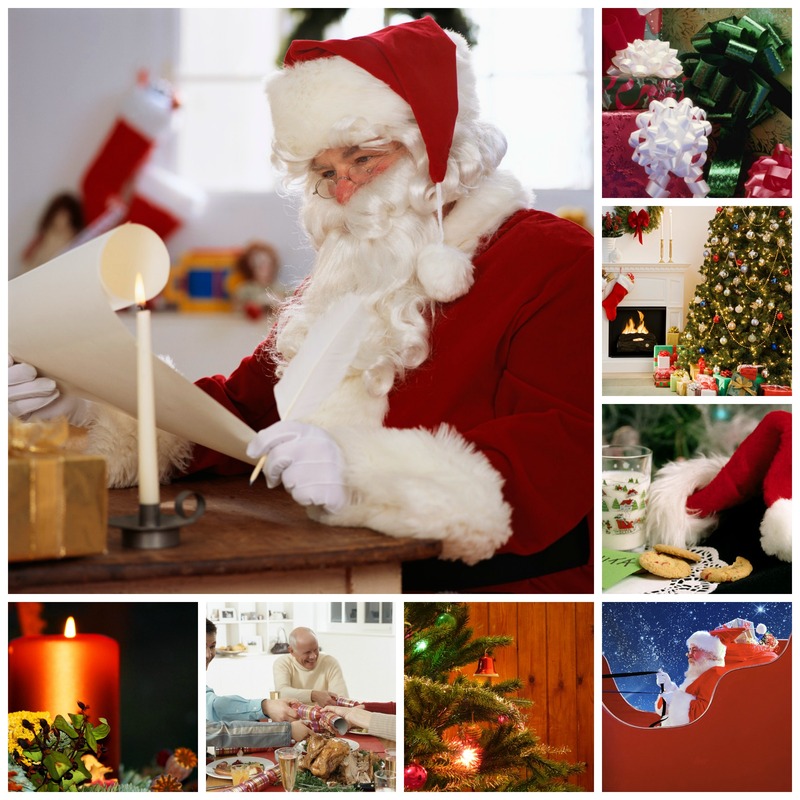 Every December 4 is celebrated as “Santa’s List Day” and in honor, we decided to compile a list of some fun holiday activities we are involved with this year. 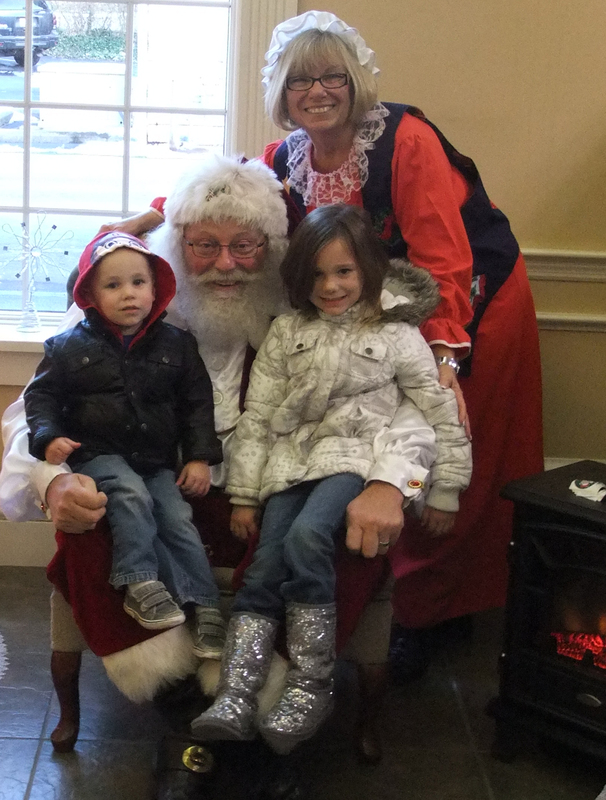 Kingston and Kileigh, the children of VCNB employee Austin Rohr enjoyed meeting Santa at the bank last December. Bring your kids to meet Santa at our Friendly Bremen locations this month! Santa Claus is coming to town! Santa will be visiting with the good little boys and girls at our W. Fair Ave., Friendly Bremen Banking Center from 3pm-5pm. Come say hello to the jolly old elf himself! Help us welcome Santa to the Hocking Hills with this huge annual event! Our employees at the Hocking Hills Banking Center are always excited to take part in this parade which starts at the Hocking County Fairgrounds and ends at the Tractor Supply parking lot. Santa arrives at the end of the parade and the downtown lights are lit at that time. We are thrilled to participate in the tenth annual Christmas in Downtown! This event, sponsored by the Vinton County Chamber of Commerce, features door prizes, crafts for the kids, horse drawn wagon rides, inflatables, music, food specials, vendors, a parade and more! There will also be a number of fundraisers for local non-profits including Shepherd’s House, churches and the fire departments. VCNB will host activities in our Customer Service Center which ordinarily is not open to the public. We will have a craft for the kids, a tropical snack, lots of fun tropical decorations and a door prize! Also, be sure to look for Santa who always arrives in town during the parade! Santa Claus will return to Lancaster today to visit our Friendly Bremen Banking Center at 521 E. Main St. Come say hello to old St. Nick! Santa must love the Friendly Bremen Banking Center because he is spending another Friday afternoon with us – this time in Bremen! Stop by and tell him your Christmas wishes! There is one last chance to visit with Kris Kringle at the Friendly Bremen Banking Center this year. Today he will be at 700 Corylus Dr., Pataskala. Stop by to meet Santa and tell him your most important Christmas wishes! Thursday is Thanksgiving and here at VCNB we are preparing to be closed for the holiday. All of our seventeen locations, including Customer Service, will be closed so our employees may celebrate the holiday with their families. As we contemplate the holiday and its meaning, we wanted to share with you a few quotes about Thanksgiving and gratitude. Plus there’s one at the end from the great Johnny Carson to make you laugh! From all of us at VCNB, we wish you a safe and Happy Thanksgiving. 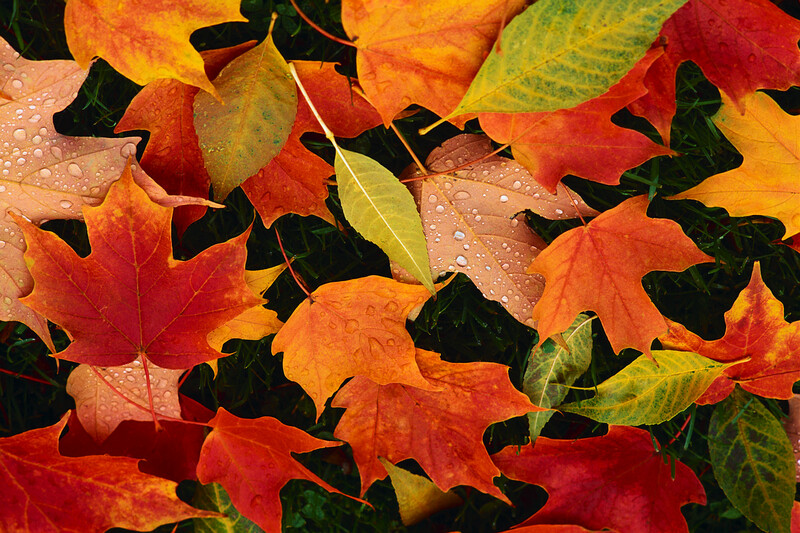 After being closed for the Thanksgiving holiday Thursday, we will resume regular business hours Friday. Welcome Citizens Bank of Ashville Customers! The VCNB financial family is growing! We are excited to welcome the customers and employees of The Citizens Bank of Ashville to VCNB. VCNB and Community Bancshares, Inc. have announced the completed acquisition of The Citizens Bank of Ashville, effective the close of business on Friday. The offices, located in Ashville, Circleville, Grove City and Commercial Point, enlarge the VCNB footprint and provide VCNB customers a total of seventeen locations for their banking needs. When they opened today, the Ashville, Circleville and Commercial Point branches began operations as Pickaway County Banking Center. The Grove City location now operates as Franklin County Banking Center. As our family grows, we have been reflective about our origins and the core values that make us who we are. We were founded in McArthur, Ohio in 1867. As a community bank, we take pride in adopting community identities everywhere we do business. This is evidenced in a variety of ways, starting with the names of our local branches and extending through community support initiatives and substantial employee volunteerism efforts. Because we are a community bank, decisions are made locally. The loan officers, tellers and new accounts representatives you interact with daily live in your community and have a stake in the wellbeing, not just of the bank but of the people and towns where we do business. Our Customer Service Department is located in McArthur and the people you reach by phone or by online chat are invested in giving great customer service. In short, we love our communities! As you may imagine, there is a lot of work and detail involved in acquiring a bank and bringing those customers and employees into the VCNB family. That’s why we have created a Welcome Guide to help our new customers through the process. If you are a new VCNB customer, WELCOME ABOARD! We are excited to have you with us and eager to get to know you. For the most part, the employees you are accustomed to seeing in your local offices haven’t changed. We may make some physical changes in the offices but you will receive the same great service you are accustomed to and deserve. For now, our new Citizens customers will be able to bank and receive customer service assistance just in Ashville, Grove City, Commercial Point and Circleville. Starting on January 20, 2015, you will be able to bank at any of our seventeen locations. You will be also hearing from us more over the next few months and hope you will feel welcome to contact us if you have questions. Our existing customers can begin banking in the new locations today. We now have seventeen offices in Vinton, Ross, Hocking, Fairfield, Licking, Pickaway and Franklin counties. Do you have questions? We would love to hear from you! Remember, following this blog is a great way to keep up with VCNB news. You can also follow us on Facebook and Linkedin. Check our website for updates as well. Thomas D. Will, Chairman of Community Bancshares, Inc. and its principal subsidiary Vinton County National Bank, announced that the acquisition of The Citizens Bank of Ashville, Ashville, Ohio, was completed effective at the close of business on Friday November 14, 2014. The Ashville, Circleville, Grove City and Commercial Point offices of The Citizens Bank of Ashville have become branches of Vinton County National Bank (VCNB). Will said he is pleased the transaction is complete and is eager to welcome the employees and customers of Citizens to the VCNB family. “We are very pleased that we have completed our transaction with The Citizens Bank of Ashville. We appreciate the efforts put forth by the officers, employees and board members at Citizens to help facilitate the transaction and we look forward to continuing to serve the communities that have been served by Citizens,” he said. Founded in 1867, VCNB is a community bank that takes pride in adopting community identities everywhere they do business. The Ashville, Circleville and Commercial Point offices will operate under the name Pickaway County Banking Center. The Grove City office will be called Franklin County Banking Center. VCNB is known for lending community support and for substantial volunteerism efforts among employees. Will indicated that employees in the new offices are eager to adopt this VCNB spirit. Community Bancshares, Inc. is a bank holding company headquartered in McArthur, Ohio, with total assets after the merger of approximately $870 million and shareholders’ equity of $100 million. Vinton County National Bank now operates 17 offices in Vinton, Ross, Hocking, Fairfield, Licking, Pickaway and Franklin counties.